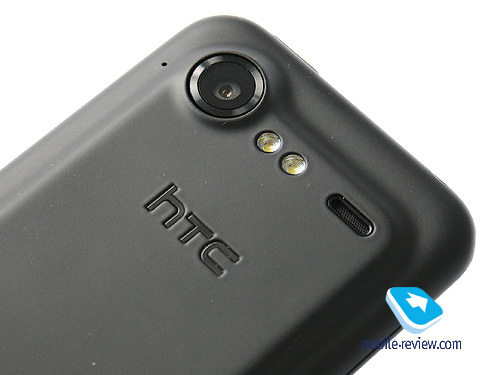 HTC emphasizes that Incredible S is not a continuation of Desire HD or its rival. It is just an off-shot of the original Incredible. It can lead us to several conclusions. 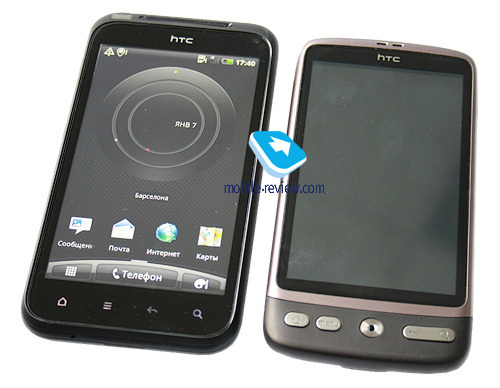 Firstly, HTC is planning to show the continuation of HTC Desire HD at the separate event. 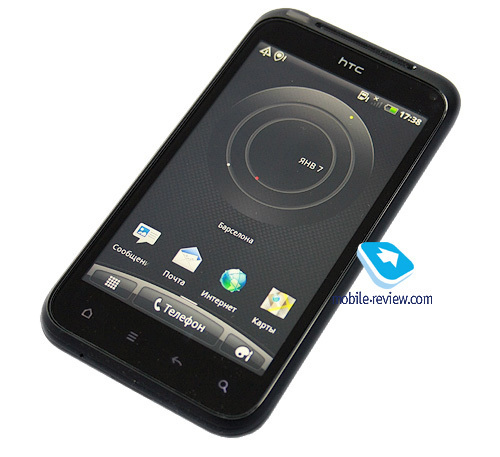 Secondly, HTC Incredible S will not be overpriced. 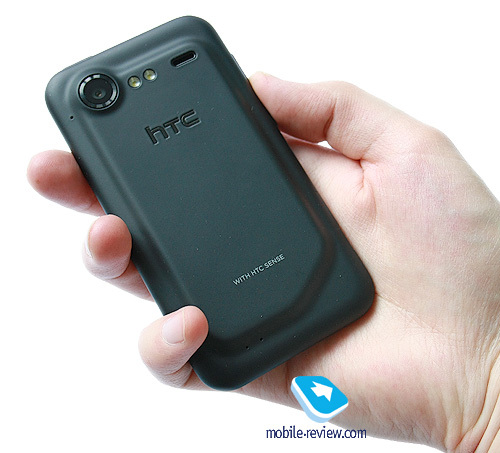 HTC models never come cheap, but this model will have an adequate price. Anyway, I was amazed by Incredible S and cannot be partial here. I like it for the looks. At first you cannot see anything special – matte plastic with velvet feel, metal trim and black color. It's a typical modern smartphone. Nevertheless, I was impressed by the asymmetrical battery cover, which looks weird, but attracts attention. Black metal and same colored plastic offer special balance. I wonder how I could be affected this way. The idyllic picture is slightly spoiled by a block of sensor buttons under the screen, which still makes me angry. There is nothing extra or vulgar in the looks. Plastic and metal, body and color. I cannot imagine why Incredible S can generate negative feelings. Some may be distressed by a bulky and unusual battery cover, but I like it. 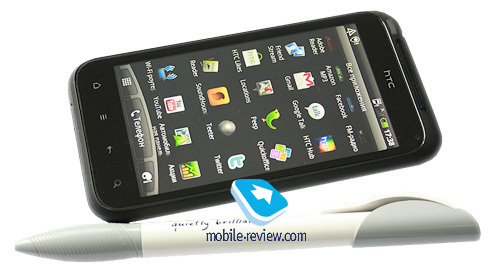 The smartphone is large (120.5x64x11.5 mm) as any other "robot" with the screen of 4″ or more. It is quite thick as well. The build is good even in engineering prototypes and I think consumers will be happy as well. 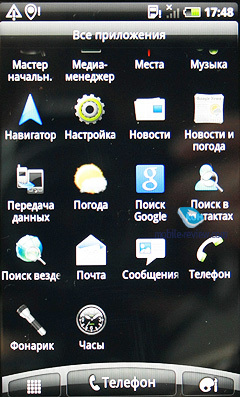 Incredible S has an S-LCD touchscreen of 4″ (800x480). 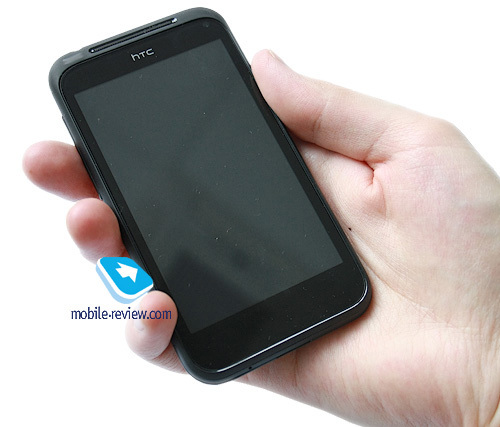 It is covered by a protective glass (similar to that of HTC Desire HD and other smartphones of the company). What else can I say? As far as I can see and judge the screen offers high quality picture, which makes the device easy to use. 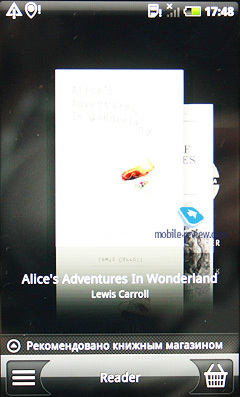 Some prefer SuperAMOLED, while others are happy with TFT or S-LCD. Everything is standard here. The left side hosts a long and handy volume button together with a microUSB jack. The top boasts an on/off button and a 3.5 mm headphones jack. 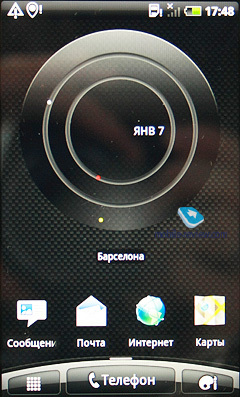 Under the screen you can find four sensor buttons typical of Android: Home, Menu, Back and Search. 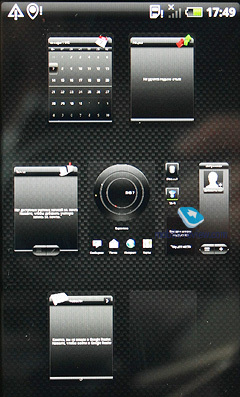 Buttons under the screen are large and provide convenience of use despite the fact that they are not hardware ones. This block is backlit when it's dark around. Above the screen we get a grilled speaker, light and proximity sensors and camera for video calls. The camera is also used for the Mirror app. Girls should like it. At the back of the phone an 8 MP camera is accompanied by a flash and a speaker. We will analyze the camera performance in a detailed review of the model. 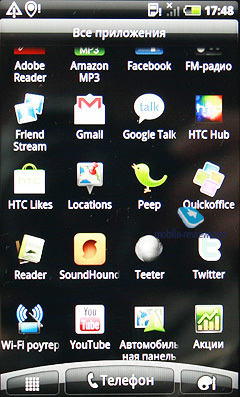 HTC Incredible S has one of the latest interface versions - HTC Sense 2.0. together with Android 2.2 (Froyo) under the hood. 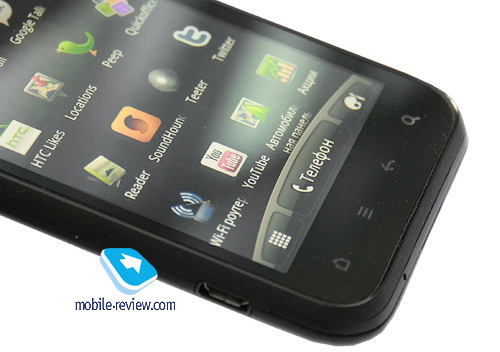 The device is built on Qualcomm MSM8255 platform with a 1 GHz processor. 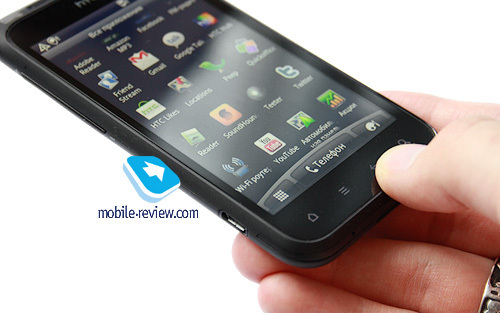 Incredible S comes equipped with 768 MB of RAM and 4 GB of internal memory for user data. A microSD memory card slot is available too. 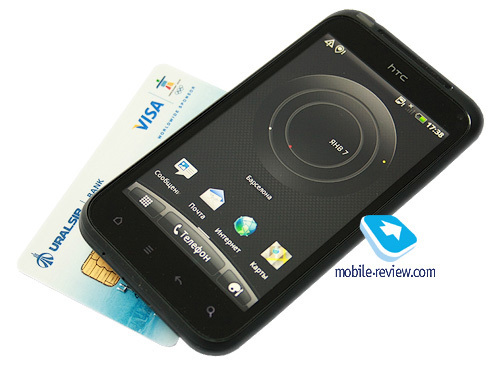 Taking into account my experience with HTC Desire HD I believe the speed of the new model must be above any criticism. Incredible S produced an absolutely positive impression on me. 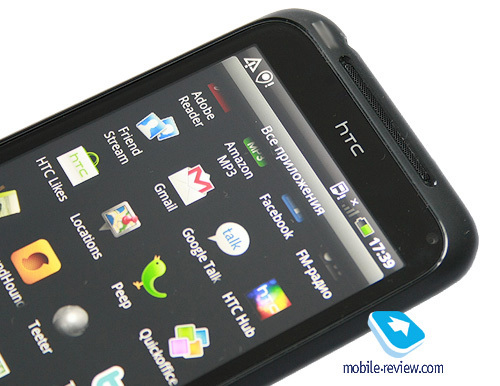 It is not influenced by the fact that I am an HTC fan (which is true). This new HTC smartphone is like a breath of fresh air among its current lineup. It is not different by specs or software, but its design stands out. I am partial, but this is how I feel. 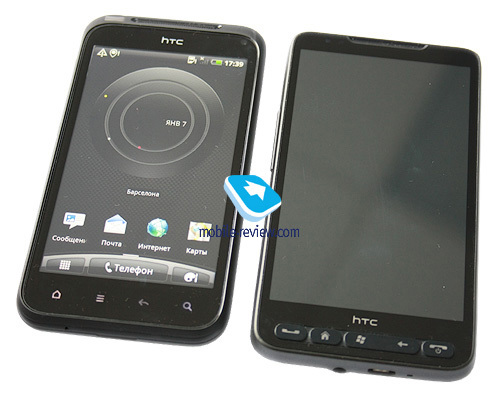 All in all we have an Android 2.2 and HTC Sense 2.0 coupled with resemblance to the flagship HTC Desire HD. 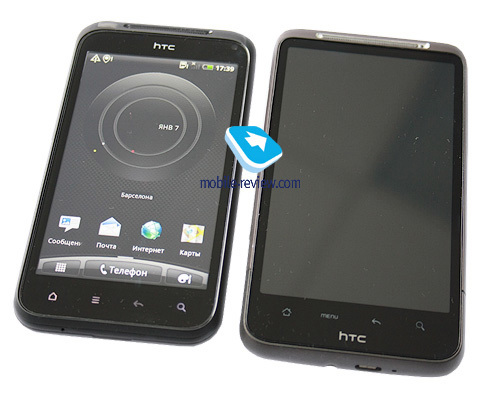 We can expect the model in March at the price of $880В. Black and red colors will be available to choose from.